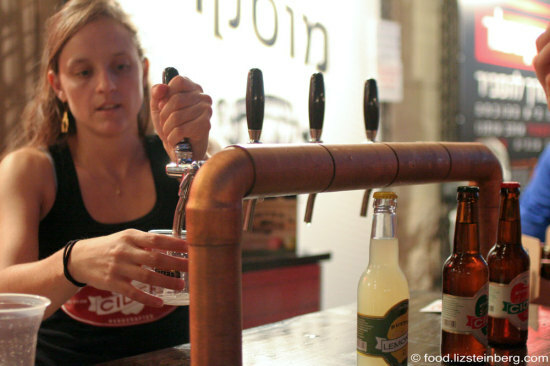 Good things have been happening in Israel’s boutique beer industry. It’s been close to two years since the last beer expo. The annual expo is only in its fourth year, and it’s coming into its own. 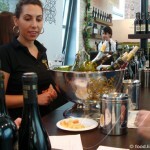 This year’s expo, held last week, took place outdoors in the late summer among the rustic cobblestone of Tel Aviv’s first train station (Hatachana), as opposed to within the cramped hallways of a sports stadium on a dank winter day, as in past years. People milled about tipsily the early evening light – a mix of brewers, barmen and other industry members – and as darkness set in, the air filled with the sounds of friendly chatter and live music. 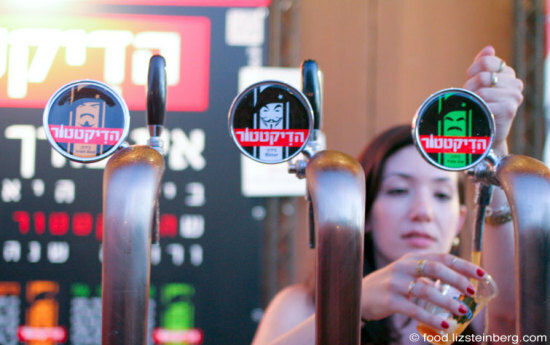 As always, there was strong presence of English among the crowd – even if young, hip Israelis are embracing local brews, people from countries with more of a beer culture still play a disproportionate role in the industry. 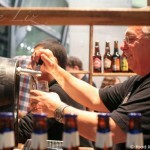 One thing noticeable at this year’s expo is that it seems like the bar has been lowered when it comes to launching a successful microbrewery, and I mean that in a good way. Many of the microbrewers I met did not actually own their own brewing facilities – they rented space at a larger microbrewery or at Mivshelet Ha’am – “the people’s brewery” – which exists for that purpose. And there are now a handful of shops and bars that specialize in local microbrews, at least some of which didn’t exist even a year or two ago. 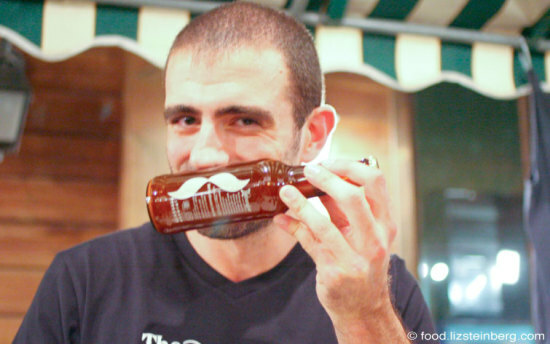 We still may not have an American- or European-style beer culture here – least of all because people drink much, much less – but those who enjoy beer can find local brews if they look. As I’ve pointed out in the past, while more and more microbrews are being brewed here, many aspects of the industry are still imported – particularly the malt and the hops – a point that hasn’t been lost on many critics. Beers get a local twist through the expertise and creativity of the brewers, which sometimes takes the form of adding poplar local spices. 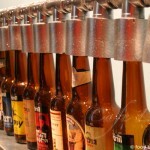 Cilantro and citrus are common additions when it comes to flavored beers, for instance. 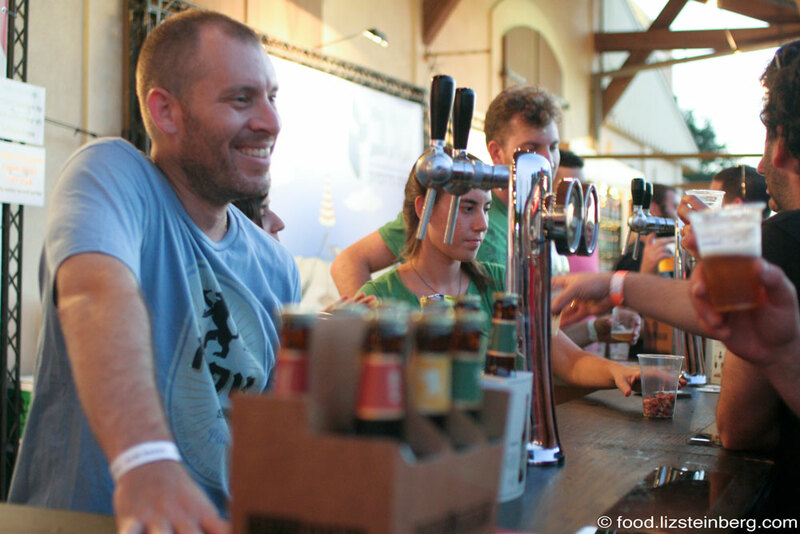 At this year’s expo I skipped over some of the better known microbreweries whose beers I buy regularly – namely Shapira, Bazelet, Malka and Negev – in order to get to know some less established places. Here are some of my favorites. Hadictator – like many microbreweries, this one gets it for the humorous branding, but I also really have to hand it to them for their beer. Both beers I tried were excellent – the Pale Ale (5.5% alcohol) was fruity and light, with the bitterness accompanying American-style ales, while the Irish Red (4.7% alcohol) was also relatively light but had a pleasant smokiness. 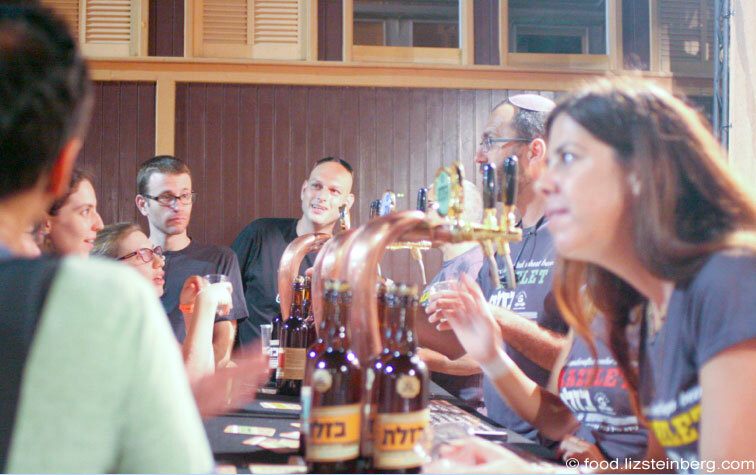 The brewery produces about 1,200 liters a month via Mivshelet Ha’am facilities and its beers have been available commercially for about a year. 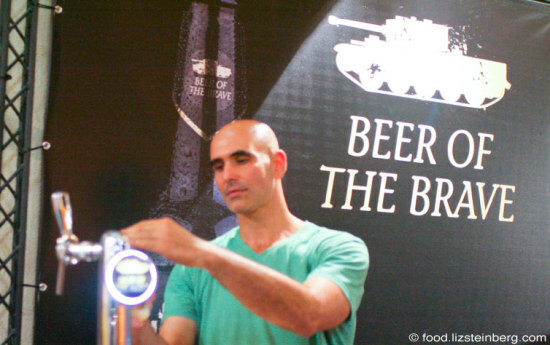 Emek Hamayanot’s pale ale – the brewers described this beer as a combination of American hops and European delicateness, and that sounds about right. Sarah and I agreed that this was one of the more memorable beers we tasted. The beer has its roots in a Gilboa-area kibbutz, reflected by its pastoral labeling, but is now brewed at the Mivshelet Ha’am facilities as well. Also worthy of note is Buster’s Hard Lemonade (5% alcohol), a new product on the market and probably the most talked about (among English-speaking expats, at least) prior to the expo. Buster’s, based in Beit Shemesh, has been selling its hard ciders for a few years now, and I guess you could say that they’re coming into their own based on their more mature branding. Buster’s has dropped the original names of its two ciders, “48” and “67” – a reference to both the ciders’ alcohol content as well as Israel’s War of Independence and Six-Day War – in favor of less controversial labels, “sweet” (4.8% alcohol) and “dry” (6.7% alcohol). The brewer acknowledged with a smile that “we got a little flack” over the original names. And no discussion of beer names would be complete this year without mention of Isis. 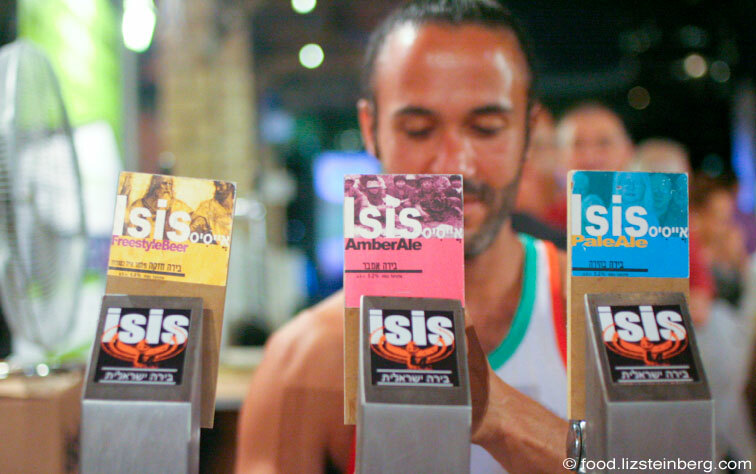 This 6-year-old local brewery predates the terror group by the same name, of course, and was actually named after the Egyptian fertility god – as most brands named Isis presumably are – but of course was earning notice due to current events in the Middle East. Though not too much, relatively speaking – in Hebrew, the terror group is known by its Arabic acronym, Da’ash. And I’ll conclude by leaving you with this fun beer, brought to you by The Stranger. The brewery gets its name from a reference to The Big Lebowsky, and its wheat honey ale (7% alcohol) has a honey finish, a light bitterness and an unfiltered flavor.